Netent is a software provider that has developed some of the world’s most famous slot machines. 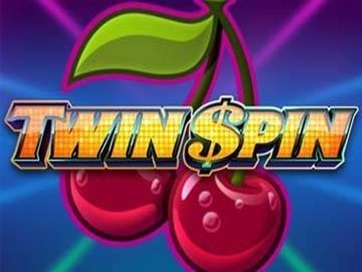 Twin Spin is one of those slots that are specially designed to look like a machine from the 80s. There are a lot of neon colours and disco lights that will definitely get you in a party mood. As for the gameplay, keep reading this article and you’ll find all the information you might need! 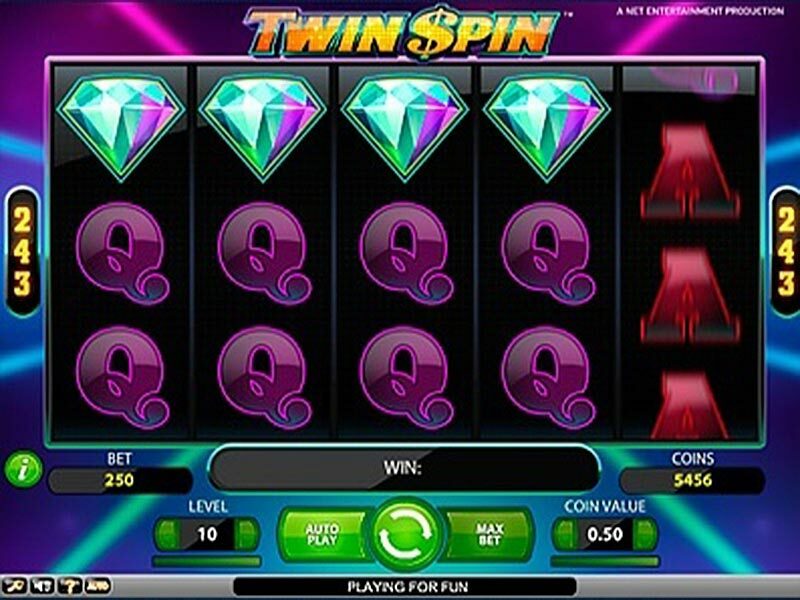 Twin Spin casino machine features 5 reels and 243 fixed paylines. This format is quite common for complex slots and everybody seems to enjoy this challenge. Beginners or less experienced players will need a few rounds to get familiar with the rules but they will quickly get the hang of it. After all, slot machines mostly rely on luck and it’s impossible to manipulate the reels. Moving on to the bottom panel, Twin Spin slot machine has plenty of features that contribute to the complexity of the game. For instance, the autoplay can be activated for 10, 25, 50, 100, 250, 500, 750, and 1000 rounds. It's very unlikely to get to see hundreds of auto spins because losing it's always a possibility when it comes to a game of luck. The minimum coin value that players can bet is 0.01 and, unfortunately, it only goes up to 0.50. There aren't too many options but players will be able to bet up to 10 coins per line. Given the fact that there are literally hundreds of lines, the maximum bet will eventually be quite generous. Like most casino games available, this one also has special features that help players improve their wins. Probably the most important feature is the Twin Reel that basically means there are two identical reels that are linked to each other. When the player hits the spin button the twins can become triplets, quadruplets, and even quintuplets. This type of format is unique and it brings a little something to the table, making it much more challenging and entertaining. The background is slightly animated with white that goes on and off and, whenever you hit a winning combination, the symbols will light up. The animations are pretty limited but nonetheless, players will have an entertaining and challenging experience. As for the soundtrack, there are multiple sound effects common for these types of games but nothing out of the ordinary. No special background music whatsoever. If you like classic casino games with a straight forward gameplay, this slot by Netent is perfect for you. Not only will you get the chance to exercise your strategy but you will also improve your skills by playing so many paylines!